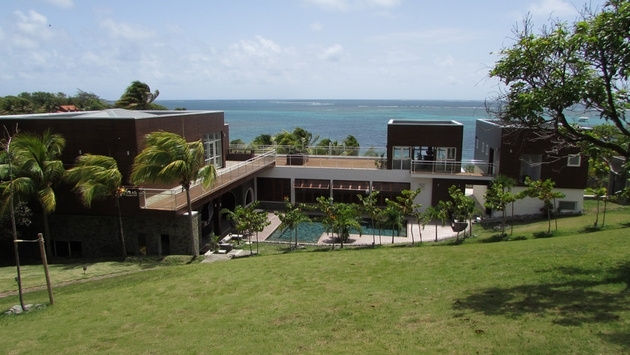 Photo: Le Domaine des Fonds Blancs is set along Martinique’s laid back Atlantic coast. (Photo by Brian Major). What’s not to like about spending a week or more relaxing in and around a Caribbean villa? Travelers are increasingly finding out for themselves, seeking out these accommodations designed for groups of friends and family and offering a level of intimacy lacking at larger Caribbean resort properties. The current generation of Caribbean villa properties combines upscale accommodations and premium services and amenities. Also Caribbean villas are frequently found in less-traveled-to destinations across the region, providing an additional layer of exclusivity to the experience. In true Caribbean fashion, these locations routinely feature the magnificent hillside and coastal settings, resplendent with the golden sunshine, brilliant blue waters and lush, green natural surroundings that have attracted visitors for generations. Located 160 miles east of Puerto Rico southeast of Saint Martin and Anguilla, Saint Barthelemy (or St. Barth) features coastal areas lined with beaches and many offshore coral reefs in shallow waters. Part of the island encompasses a marine reserve founded in 1999 and covering more than 2,500 acres. Boutique firm St. Barth Properties offers a portfolio of more than 190 carefully private villas in the territory. The company offers a “Drive, Dine & Relax” package to guests who book stays of seven nights or more at select villas. The package offers a Suzuki jeep rental, a private in-villa dinner prepared by a personal chef, cold drinks in the villa upon arrival, and a custom embroidered “St Barth Beach Bag” to take home. Participating villas include the one-bedroom Villa Blue Diamond, which features a courtyard-style covered terrace plus one wing equipped with a kitchen, guest bath and living room. The second bedroom wing features a king sized bed and sliding glass door leading to a private infinity pool. Wi-Fi access is included; rates start at $4,060 per week. Located North of Saint Barths, Anguilla is another “alternative” Caribbean destination offering several outstanding villa properties in stunning natural settings. CéBlue Villas & Beach Resort offers a dramatic hillside location overlooking the white-sand beaches and striking blue waters of Crocus Bay. The eight-villa property’s “hybrid-luxury experience” combines elements of a stand-alone villa with a full-scale resort property, says Tom Montvale-Cohen, the property’s owner. CéBlue has found a niche to accommodate the most sophisticated traveler in comfort and sophistication without the isolating factor of a stand-alone villa,” he said. Each CéBlue villa offers a 2,000-square-foot covered deck and another 3,000 square feet of uncovered outdoor living space. Each villa also features a private pool with an adjacent bath and outdoor rain shower. Configurations with up to six bedrooms are available, and each villa features a fully equipped kitchen, washer and dryer, an interactive game room and Wi-Fi access. Caribbean travelers will find another new villa option in Martinique, where the seaside Le Domaine des Fonds Blancs debuted earlier this year as a luxury villa option for travelers to the Isle of Flowers. Set along Martinique’s laid back Atlantic coast, the new contemporary-styled complex hosts up to 18 adults in a 7,000 square-foot villa equipped with a large private pool, a fully-equipped gourmet kitchen, a gymnasium, large guest rooms and suites, and numerous terraces and sun decks with unobstructed ocean views of the ocean. The accommodations also feature an on-site concierge. 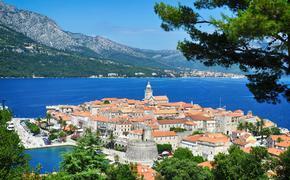 Rates are available on a request-only basis, with a minimum one-week stay required. Blue Sky Luxury Villas operates more than 250 luxury villas in Antigua, Barbados, Dominica, Jamaica, St. Barts, Saint Lucia and Saint Martin. Blue Sky’s Zabuco Honeymoon Villa, Secret Bay, Dominica is designed for travelers in search of intimate settings. Zabuco is a local name for Dominica’s Bwa Bande tree, renowned for its aphrodisiac qualities. The one-bedroom honeymoon villa offers adventure-loving couples beautiful accommodations featuring floors and interiors crafted of Guyanese greenheart wood. The villas’ bedroom furniture is hand-crafted from Dominica’s Red Cedar trees. Each villa also features a deep free-standing bath for two. Zabuco Honeymoon Villa guests will have access to mountain bikes, kayaks, stand-up paddleboards, yoga mats and snorkeling and swimming gear. Rates start at $822 per night. Blue Sky’s Palm Point Villa in Antigua is designed for larger groups, with six bedrooms and bathrooms offering 10,000 square feet along a private white-sand beach. The villas offer spacious lounge areas overlooking a pool. The services of a butler, chef and maid are included and the villa accommodates up to 12 guests. Rates start at $6,000 per night.